Alcohol Ruined My Life Completely Jessica Stated. How Did Sober Journey Started Of Her Life? Many many congratulations! Jessica, for your recovery from alcohol addiction. You are so brave that you fight with alcohol addiction and overcome. You have inspired many people to get sober and we wish you a happy journey toward your new life. 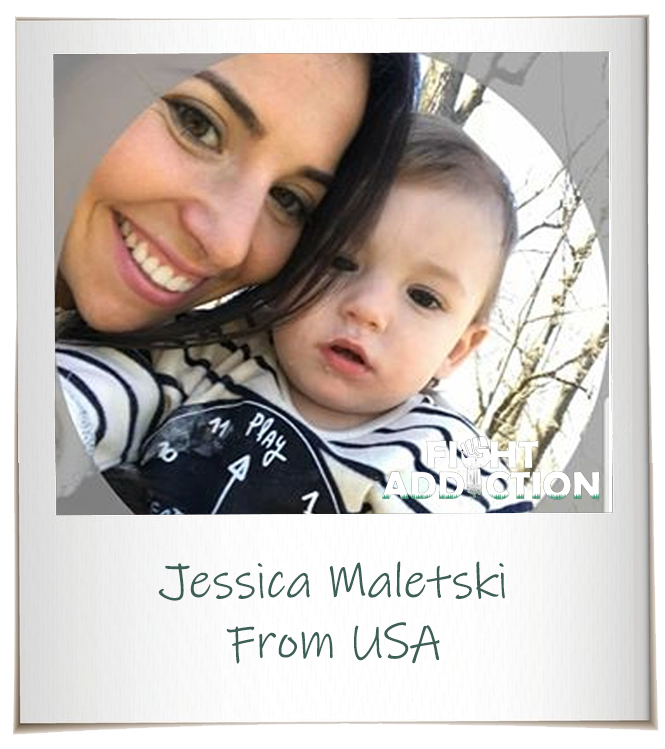 Let’s read Jessica Maletski’s recovery story in her words that how did she become alcohol addicted and now she is sober for more than a year. My addiction started when I was 15 years old. I was happy; my life was fantastic prior. Then I had my first drink. From that exact moment it went down I was hooked. I remember so distinctly that exact night. I remember the absolute vodka going down my throat. I remember as soon as I felt tipsy I felt like I was in heaven. It was a feeling I can’t explain. I wanted to spend the rest of my life drunk. So from that time on my life was consumed with going out with friends, drinking and getting high. I’m not going to lie it was fun for a while until the last few years of my drinking and using when it became unmanageable. Addiction always starts off fun but never does it end that way. Once I started, I couldn’t stop. When I went to parties, people thought I am so cool for going shot to shot with the guys. I never did it to b cool. I could not stop once I started. Years of blacking out followed, nights of not knowing what happened that night. I was losing wallets licenses, cell phones. One time hospitalized and told I should have been dead. My alcohol level was three times an average level. That is some of my experiences with drugs and alcohol. I couldn’t live that way anymore. I was no longer happy. I was always in trouble. It wasn’t just about going out partying at nights it reached its peak where I woke up called my friends n we’d meet up at 7 am n continue thru out the whole day. I was always running. When things got too wild with one group of friends, I’d move and run away from them. In my addict mind, if I leave them, I’ll be better cured. Then I switched cities & colleges only to become friends with another group of addicts. I changed substances but not the situation. I knew when things got too wild with them I had to cut them off. When I did so, I made a conscious decision that I wasn’t going to go back down that path with a different crew and a different substance. I was done with running. It was time to fix myself. It was rough but worth every minute. I felt so much love in the rooms of AA. I found the support of everyone. The 12 steps changed my life and the relationships I have with family members for good. I will be forever grateful for AA my sponsor the 12 steps and for my higher power. Life feels fantastic I have never been happier. Three months after I got sober I met my husband. I have a 3-year-old and a 1-year-old boy today. They make me feel so blessed every day and fill me with such joy. I know that I would have never become a mom if I saw still using it. All I would have had was a drug/ alcohol problem. You can recover! You are not alone. The most important message I have is if you want to get clean you can’t expect to hang out with your old friends who still use and not use. It is impossible. You need to change people distant urself and work on you.